Syracuse, N.Y. -- The Syracuse women’s basketball team missed 45 field goal attempts against North Carolina State on Wednesday, including 13 of its 19 shots in a fourth quarter that doomed SU to a 77-73 loss in the Carrier Dome. But the impact of a much more important misfire won’t be fully measured until a few weeks down the road, when the NCAA Tournament field is announced. Syracuse wasted a ferocious one-woman display by point guard Tiana Mangakahia, who did everything but will SU to the win with 25 points,10 assists, seven rebounds and just one turnover in 38 minutes. The Wolfpack dominated on the boards 50-34 and took a 28-24 edge in points in the paint even though it missed starting forward Erika Cassell, who will sit out the rest of the season with a knee injury suffered in her team’s last game against Florida State. With 33 seconds remaining, Mangakahia pilfered a Wolfpack pass and was fouled going to the basket. 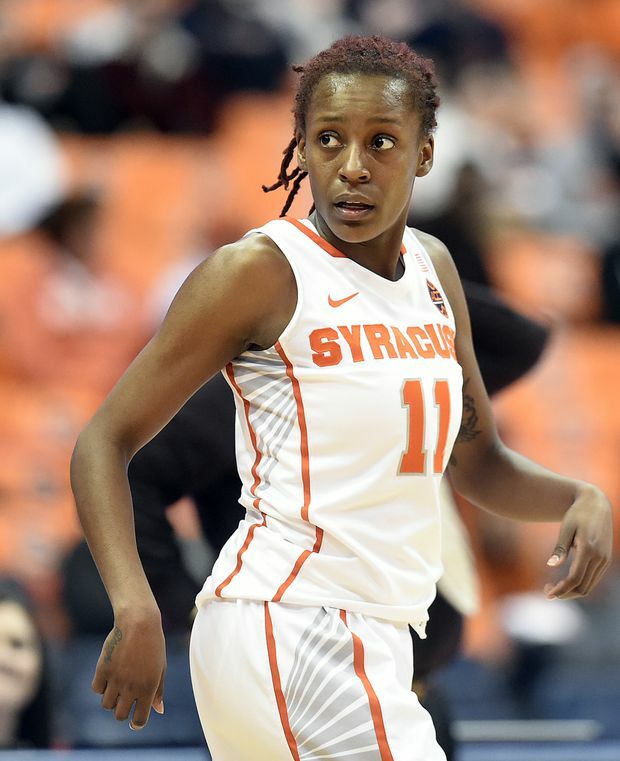 Syracuse played without reserve forward Kadiatou Sissoko, who was out with a knee injury.